Pensions are complex and many find them boring. Consequently few people really understand them. One person who does understand pensions, or at least should, is Francis Maude, Minister for the Cabinet Office, who was previously Managing Director at Morgan Stanley, and whose responsibilities include ministerial pensions. On 15th March he put a statement in the House of Commons library describing some changes to ministers’ pensions to come into effect on 1st April. Ministers’ contributions to their pension scheme are to increase by an average of 1.7% of salary, lower than the 1.85% rate applied to MPs, although ministers earn more, and significantly below the 2.4% applied to most public sector higher earners. Extra pension contributions for ministers are tiered, so that that parliamentary under-secretaries, who are paid £23,698 in addition to their MP’s salary, pay 1% more. Ministers of state, who get £33,003 more than an MP, pay 1.6% more. 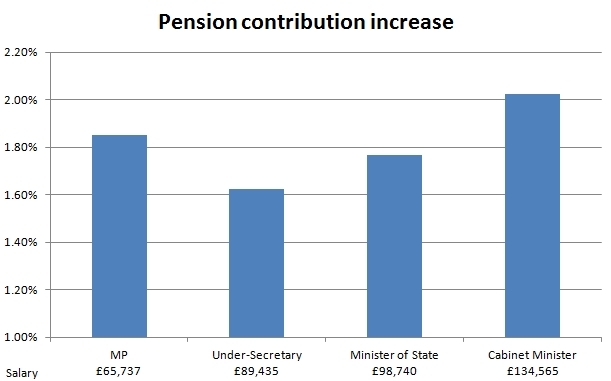 Cabinet ministers, who receive an extra £68,828 and therefore £134,565 in total, pay 2.4% higher pension contributions. On the face of it that seems fair, with higher earners paying higher increases as elsewhere in the public sector. However, what Francis Maude does not spell out in his statement is that, under the rules of the ministerial scheme, cabinet ministers, unlike junior minister and other MPs, will receive bigger pensions in return for their higher contributions. Under the Maude changes the ‘contribution factor’ for a cabinet minister rises from 0.956 to 0.995. 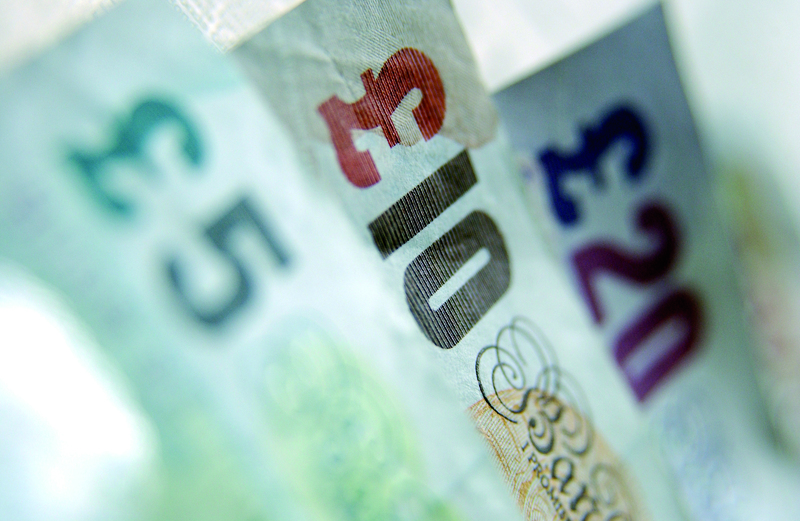 Cabinet ministers will pay in just £229 more per year than they would under the 1.85% increase for MPs. Yet in return, because of the Maude changes and even if they just serve for one parliament, cabinet ministers get an extra £314 added to their pension every year throughout their retirement. For the country as a whole the Prime Minister and Chancellor are keen for those with the broadest shoulders to make bigger sacrifices so as to lighten the load for those who are paid less. However, there is a different approach nearer home. Ministers on average will pay less as a proportion of their salary for pensions than do backbench MPs. Meanwhile, under the Maude changes, junior ministers’ pensions are cut to pay for higher cabinet pensions. Ministers of state lose £75 from their pensions, more if they are long-serving, while pensions for parliamentary under-secretaries are cut by £183. This follow cuts to their salaries in 2010 of 14% and 17% respectively, compared to only 9% for cabinet ministers. 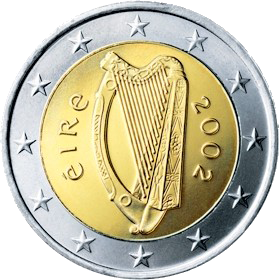 The Euro zone will only finance Ireland if its people vote ‘yes’ but, as the Prime Minister told me at Prime Minister’s Questions, Britain will act as a good friend of Ireland whatever they decide in their referendum on Fiscal Union, and require the EU to respect their decision. I previously ensured, when Parliament considered the Loans to Ireland Act, that the Treasury term sheet provided for UK financial assistance to continue whether or not Ireland stayed in the Euro. Enda Kerry describes Ireland’s referendum as being on whether to reaffirm Ireland’s membership of the Euro. When I commissioned a Red C poll in December 2010 across the Republic of Ireland asking if Ireland should leave the Euro and re-establish a link with sterling over a third said ‘yes’, with the strongest support being amongst younger people. Others would presumably support leaving the Euro to set up a separate Irish currency, even if that meant inflation and an inability to borrow abroad in the near-term, although it is interesting that even 43% of Sinn Fein supporters prefer adopting sterling to staying in the Euro. The government’s plan to withdraw child benefit from households in which one or more taxpayers pay 40% income tax is in serious trouble. I have just come from a parliamentary debate in which Christopher Chope, MP for Christchurch, exposed a whole series of problems with the policy to which the minister, David Gauke MP, had few if any answers. The government line is simply not convincing, one suspects because the policy was drawn up in a rush before our 2010 Conference without being properly thought through. More seriously still from the government’s perspective, it is not clear that it has a majority in Parliament for the policy. The LibDems, of course, love the idea, but Labour appears set to oppose it, having somewhat opportunistically deemed the households affected to belong to Ed Miliband’s rather elastic “squeezed middle”. Meanwhile, a very significant number of Conservative backbenchers have concerns and, in many cases, these are sufficiently serious that I would expect them to be expressed in the voting lobbies. The policy is particularly toxic for colleagues who want to see the government do more to promote marriage and the traditional family, given the lack of movement so far on the government’s promise to recognise marriage in the tax system. However, the policy is also objectionable for those who want the tax system to be neutral between personal choices, since it clobbers single earner householders, most usually with a stay-at-home Mum, relative to dual-earner couples. Ministers cannot answer colleagues who question them about the sheer unfairness of one family with a single earner on £45,000 losing their child benefit, while a family with two earners, each earning around £40,000, get to keep their child benefit. Certainly, I don’t feel that I am currently able to give constituents a satisfactory answer as to how this is fair, particularly when we continue to pay child benefit to many thousands of children in EU countries such as Poland and Lithuania, where costs are much lower, even when they have never set foot in the UK. Given the four figure sums involved, the equivalent of £4,000 of marginal gross income for a family with three children, it is no surprise that many people have contacted their MP on this issue. I have had several dozen constituents raise it with me, but another MP says that he has been contacted by over a thousand people. Adding to the weight of such representations is the fact that, at least in my case, they do not appear to be part of an orchestrated campaign. Colleagues had expected the Treasury to come forward with proposals to mitigate the unfairness of the policy, but now it is suggested that this would be too complicated and difficult, given the implications of household means testing for independent taxation. If so, the Treasury would be well advised to use the Budget to drop this policy. The alternative may be that it is defeated on the floor of the House. We have no safeguards and the City is left wide open to EU regulation by majority vote. On Monday the policing minister, the excellent Nick Herbert, killed off the idea that Denning’s judgment exempts the police from democratic control – which must surely be the corollary of tax financing of public services. He stated clearly for the record that the ambit of operational independence, i.e. where the police answer only to the law (and hence judges) and not to political authority, was limited “to specific operational matters and the decisions the police have to make as constables in arresting somebody and in pursuing investigations”. The common law will now develop in a new context. Judgments which followed Denning, e.g. stating a police authority “is subject to the overall direction of the Secretary of State” or that it is for Chief Constables “to decide how available resources should be deployed”, will have to be reconsidered. This is because Parliament has spoken. Statutory Instruments in theory represent the will of Parliament. The reality is that they are written by civil servants, signed by a minister and, in the vast majority of cases, go through on the nod without being debated in Parliament. I did not feel that this was an acceptable way to deal with the Policing Protocol Order, which sets out the division of powers between Chief Constables and the Police and Crime Commissioners who will be elected in November. Parliament should agree this and not just representatives of the Association of Chief Police Officers and the current unelected police authorities. That is why, with the support of the majority of the Home Affairs Committee and other MPs such as Douglas Carswell and David Hanson, I ‘prayed against’ the Order and obtained Monday’s debate. Judges will now be able to resolve disputes between elected Commissioners and Chief Constables, not on the basis of what Lord Denning thought in 1968, but according to the intentions of Parliament in 2011 as set out in the Policing Protocol Order 2011 and the Hansard record of Monday’s debate. 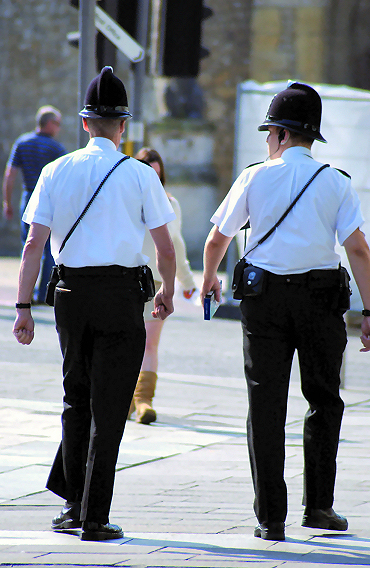 The Minister for Policing and Criminal Justice (Nick Herbert): “They [the police] answer to police authorities now, but they will answer to directly elected police and crime commissioners. It is not the intention in the legislation or the protocol to interfere with such operational independence, but we did not think that it would be wise to try and define it. We sought to give clarity in an accessible form to what the legislation says, and have set it out in the protocol. Mark Reckless: It is welcome that the protocol develops that clarity. I think we all agree that it is not sensible to try to define operational independence in law and that chief constables should have the day-to-day control of their forces, but does the Minister accept that there has been some uncertainty about police authorities and the issues they deal with, and about the remarks made by judges in some cases? I gave an example in relation to oversight by central Government. The protocol and the will of Parliament as expressed in the agreement between the parties we have witnessed today set a new context in which the common law will evolve. Nick Herbert: I agree, and I think that my hon. Friend will be reassured by my later comments about the judgment he mentioned … Where an accommodation has to be reached between the elected police and crime commissioner and the chief constable [e.g. over whether to use Tasers], the idea that the chief constable could make such decisions regardless of the views of the elected police and crime commissioner is, in my view, erroneous. I am happy to make that clear. I can see that my hon. Friend the Member for Rochester and Strood is concerned so I will give way to him briefly. Mark Reckless: Were the police and crime commissioner not to give a budget for Tasers, the question of the chief constable’s being able to deploy would not even arise, because the budget is a matter for the PCC. Nick Herbert: My hon. Friend must be correct when it comes to the new deployment of such a weapon; the issue is whether chief constables could go on deploying existing Tasers. However, I have stated that the Government’s view, which is that while a strict interpretation may be that is an operational matter for the chief constable alone to determine – that would be for the courts to decide – realistically, a chief constable would not be able to pursue such an operational decision in the absence of support from an elected police and crime commissioner. I hope that that also helps to answer the points raised by the Chair of the Select Committee.